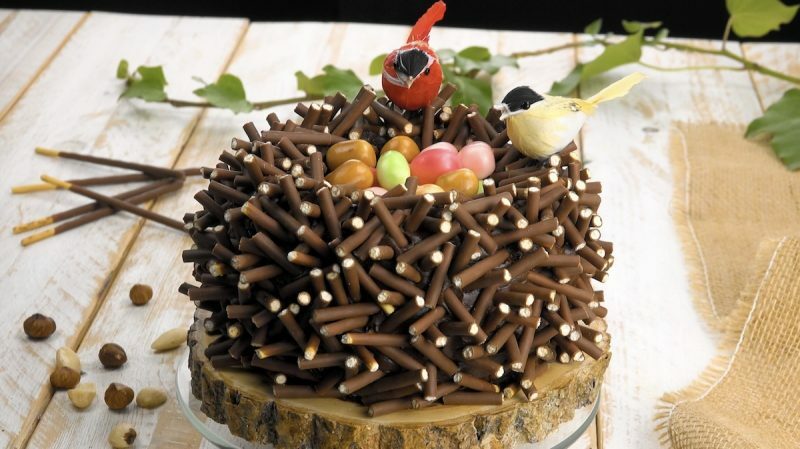 There's no better way to welcome spring than with a beautiful bird's nest cake filled with colorfully delicious robin eggs. If you're still looking for a stunning dessert that will wow your guests at Easter dinner, this is the recipe for you. 1. Preheat the oven to 350°F. Add the shredded carrot and orange zest to a bowl. 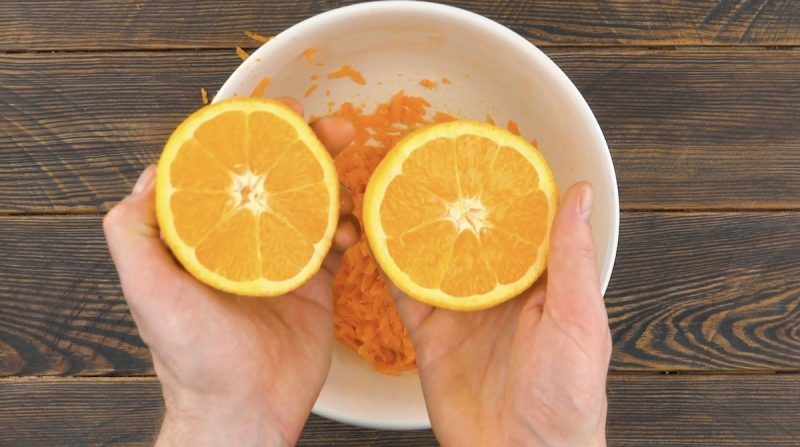 Cut the orange in half and squeeze the juice into the bowl. 2. Add the brown sugar, crushed almonds, crushed hazelnuts, baking powder, and oil. Separate three eggs, set the egg whites aside, and add the egg yolks to the bowl. Mix everything well. 3. Beat the egg whites until stiff and carefully fold them into the cake batter. 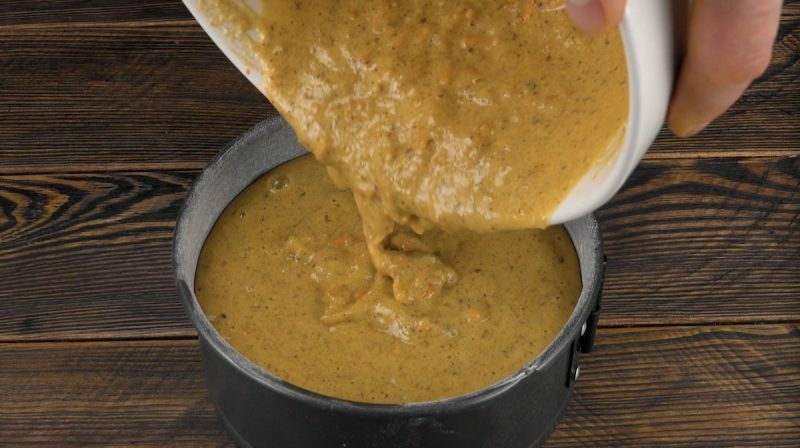 Pour the finished batter into a greased and floured springform pan and bake for 50 minutes. 4. Let the cake cool completely before removing it from the pan, and then hollow out the center of the cake, about 1 inch deep. Tip: Use a glass or cup as a template for the hole. 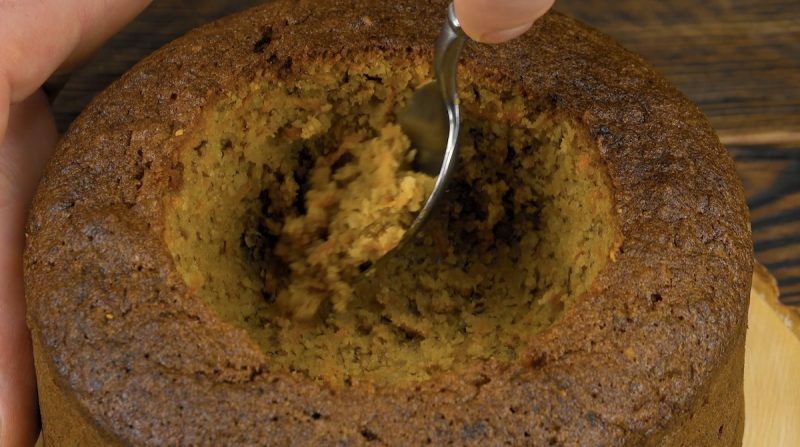 Simply place the round side of the dish in the middle of the cake and trace a knife around it. 5. Next prepare the chocolate frosting: beat the butter until frothy and mix it with the melted chocolate before stirring in the milk and powdered sugar. 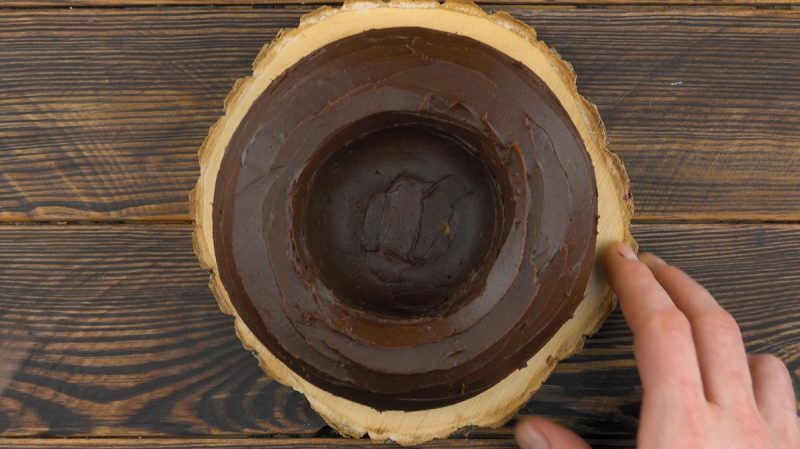 Spread the chocolate cream over the entire cake, including the inside of the hole. 6. 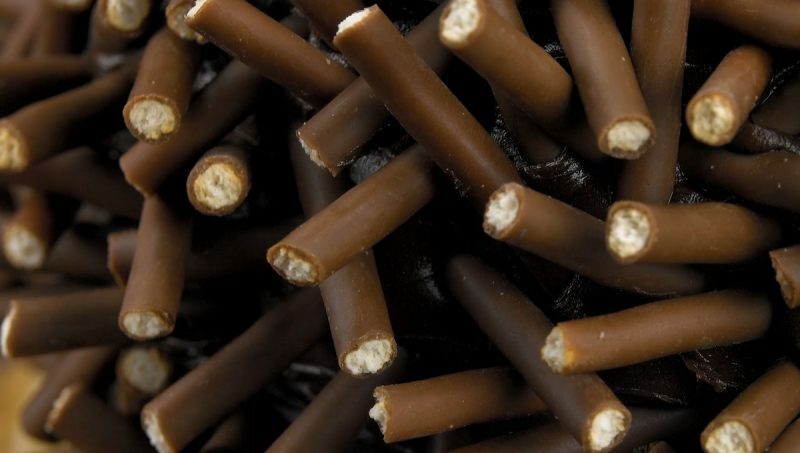 Break the pocky sticks into smaller pieces and stick them all over the cake. 7. Prepare the cream using the above ingredients and pour into the cake center. 8. Fill up the hole with Whoppers robin eggs, or any other colorful candy pieces. 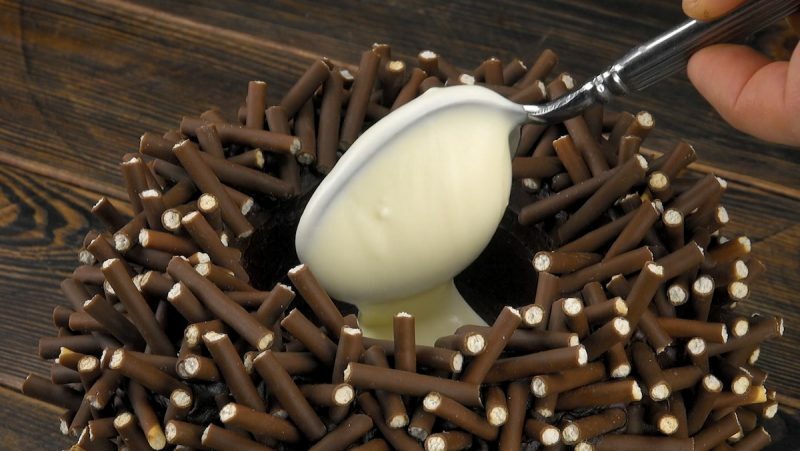 The perfect harmony of carrot cake, chocolate frosting, and light cream paired together with popular sweets such as Whoppers, Maltesers, and pocky sticks make this cake just as delicious as it looks. You can find the recipe for the Owl Cake featured in the bonus video here.